And why you should too. A guest piece by Raden Siliwanti, Director for the State Apparatus, Ministry of National Development Planning. Citizens’ expectations of government are increasing. This means that we can no longer measure the nation’s development through GDP, but must also use measurements that directly assess the quality of citizens’ lives. Is good government enough to achieve this step change? The answer is: No. Good government fails to consider the bigger picture – how we can be inclusive, interconnected, and open? Open government allows citizens to participate in the decision-making process. While good government is mostly a one-sided initiative, open government invites non-government actors to be part of the development process itself. 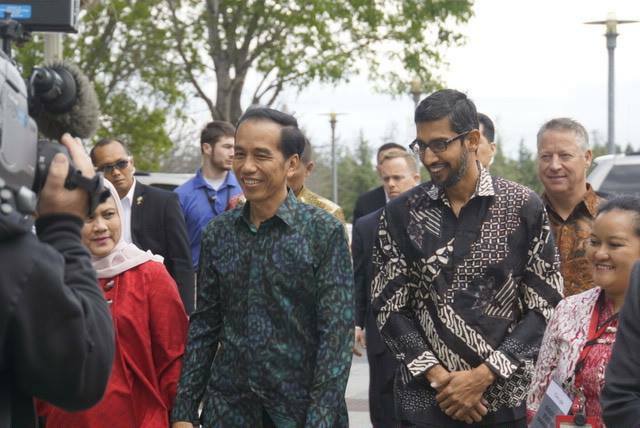 What we have learned from Indonesia’s journey towards Open Government? Indonesia is one of the founders of the Open Government Partnership (OGP), a multinational platform that helps countries to share best practices. Indonesia developed its own open government objectives according to its needs, in line with the demands of Reformasi – an embodiment of people’s defiance against corruption and ineffective oppressive government – in 1998. For Indonesia, open government helps to achieve accessible, participatory, and trustworthy government. Aligned with the aspiration of Reformasi, Indonesia established its own open government initiative in 2012. Since then, actions have been taken to overhaul our processes to make them work better for ordinary people. Modernising our complaint-handling mechanism through our LAPOR! initiative, for instance, has turned out to be fruitful for our development progress because we are now gaining a clearer picture of our policies, and citizens are less confused by our processes. Not only this, but opening our data has enabled us to take down silos between government departments, units, and officials. This has been a big problem for us for many years. If there is one thing that Indonesia’s journey has taught us, it is that open government helps us to formulate accurate and effective development plans. Open government enables collaboration, known as co-creation, between government (local and national), relevant stakeholders (private and industry), and representatives of citizens. Based on these experiences, Indonesia is convinced that to solve any development challenges, government should not work alone. Development in Asia Pacific can no longer only be done through a government-to-government approach. It also has to involve other members of our community from outside of the government, including the private sector. For that reason, Indonesia is compelled to invite OGP members in Asia Pacific for the Asia Pacific Leaders Forum 2017. The event will bring governments and prominent stakeholders from every OGP member in the region. Through this opportunity, Indonesia aims to discuss the future development of open government and to foster exchange of knowledge and best practices among countries in the region. Lastly, Indonesia also wishes to share its vision and hope for open government to the region.